One Friday in the middle of June Oscar’s school had an Inset Day. 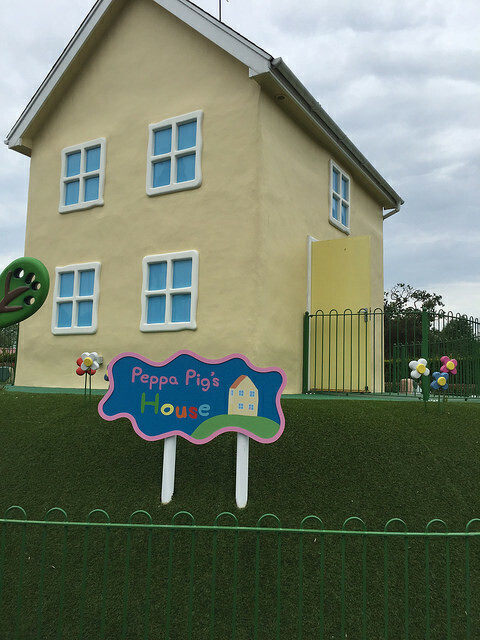 We decided to make the most of it and have a trip down to Peppa Pig World near Southampton. 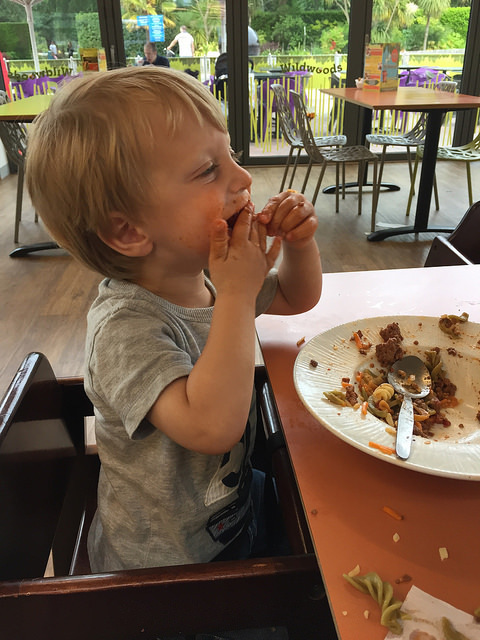 I’ve wanted to take the kids for a while and thought that this was probably the last year that Oscar would enjoy it as he’s started to outgrow Peppa Pig. We decided that we’d drive down after work on Thursday, stay over close to the park and on Friday we’d stay somewhere which was on the way back home. In the end we decided to stay at the same hotel we stopped at when we went to Ascot last month. 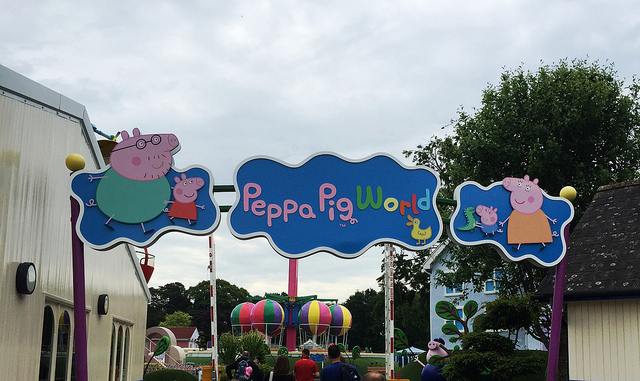 It’s about an hour away from Peppa Pig World, which is long enough to drive after a busy day at a theme park! 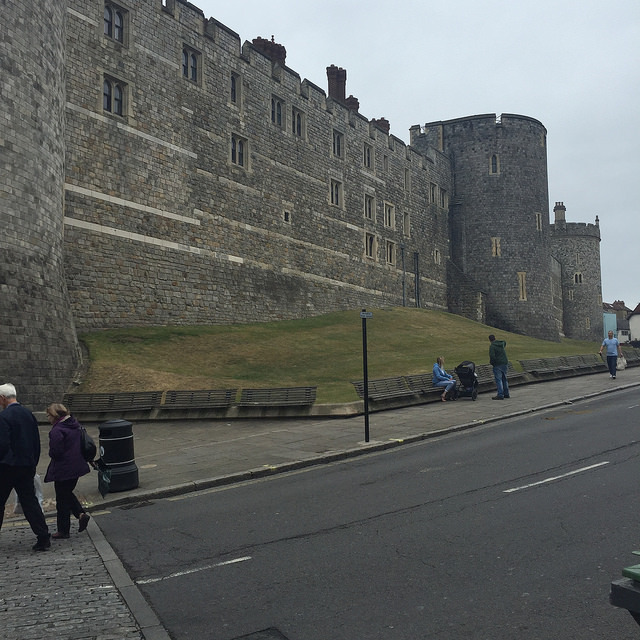 It’s also near Windsor so we thought it would be nice to have a browse round and visit Windsor Castle with the kids on Sat. The journey down went pretty well. It took three hours in total, which included a quick stop for food. The kids all slept until we stopped and were well behaved for the rest of the journey too. 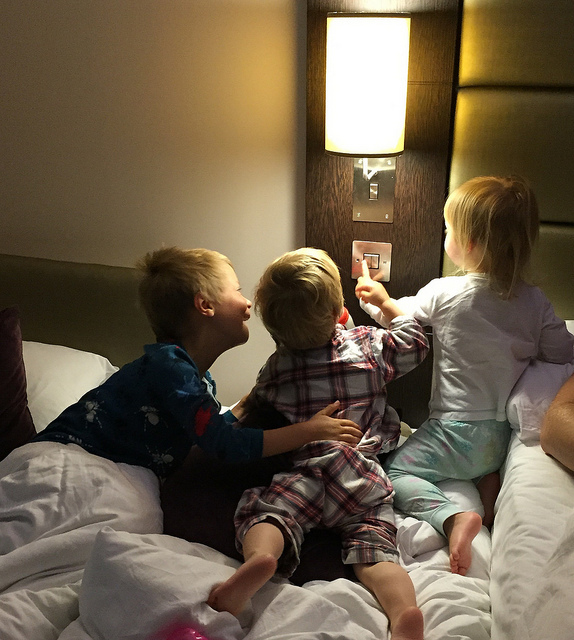 However, hotel rooms and toddlers don’t miss and it took until about 11am to finally get everyone to sleep! 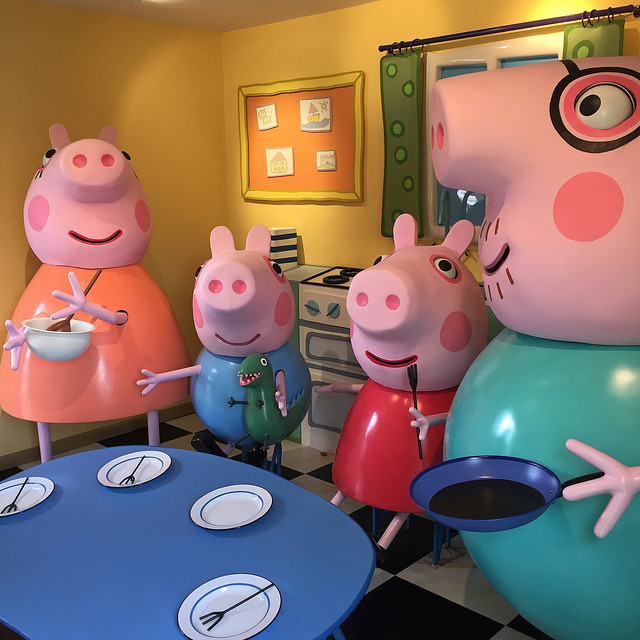 We stopped at the Premier Inn close to Peppa Pig and I must say the family room we got was huge. It had two single beds, a double and room for two travel cots! 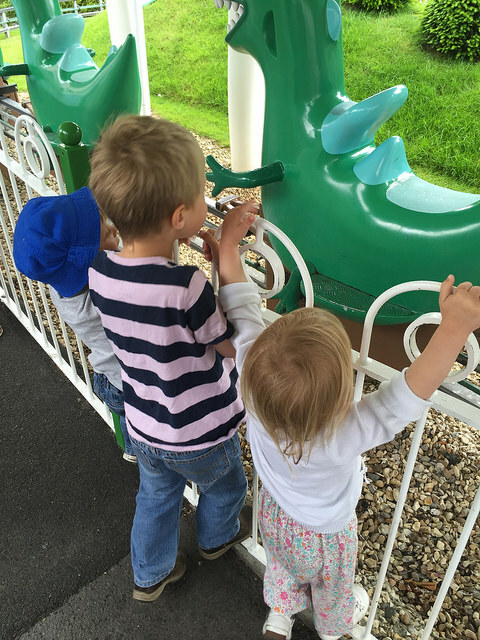 The next day we had a lovely breakfast and headed to the park, where we went straight to the main attraction! 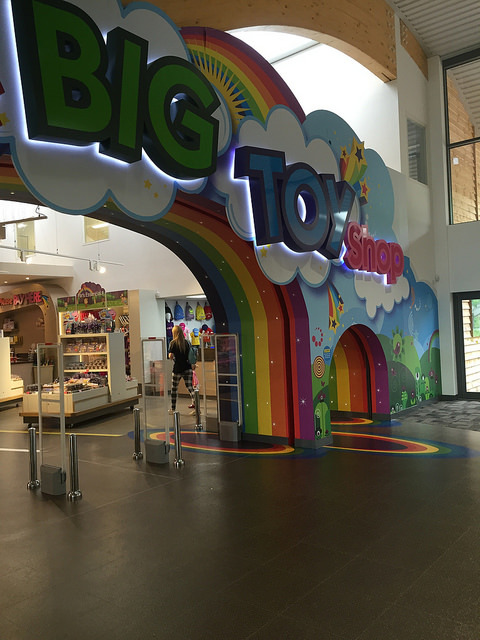 The kids loved it. 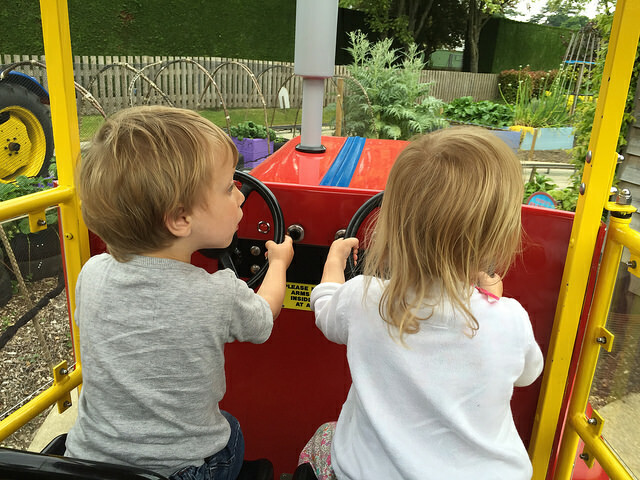 The rides were perfect for their age and it was super clean! We spent the morning going on all the rides. At lunch we ate in the main restaurant, which was nice and modern. The food was pretty good too! 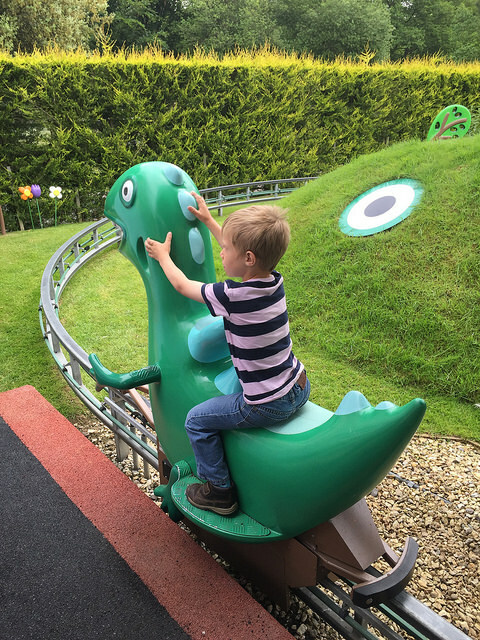 In the afternoon we explored the rest of the park and Oscar and Simon went on the log flume and the Cobra roller coaster, which looked quite scary! 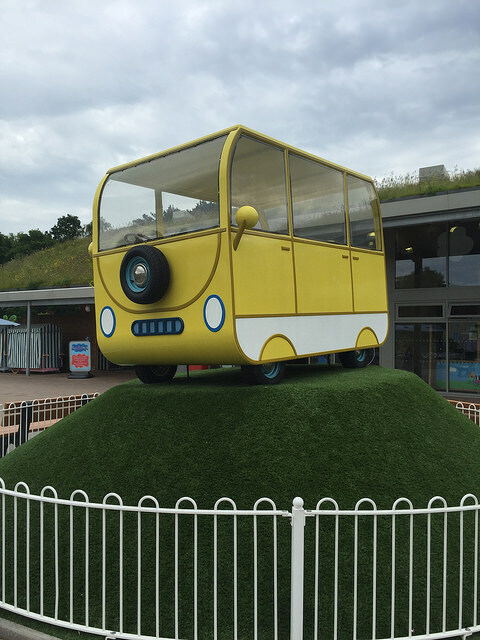 The twins had a nap in their buggy and Oscar and I went on the new caterpillar coaster which was scary enough for me – I’ve never been a fan of scary rides! 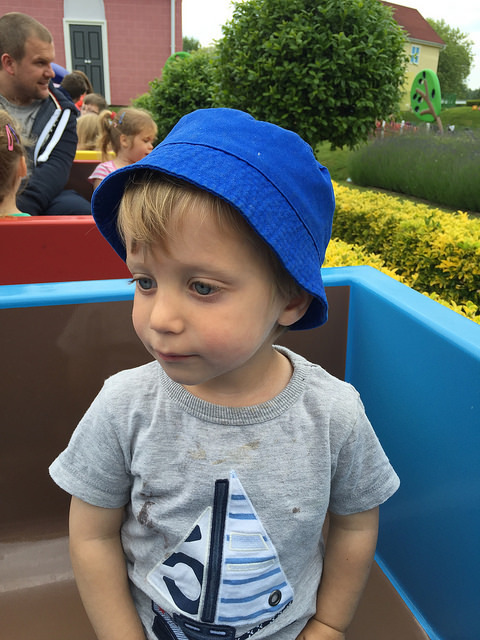 We then had ice cream, before going back to Peppa World to go on a final couple of rides, before heading to the shop for treats! After a busy day, we were all pretty tired, but luckily the drive to our hotel near Windsor was trouble free. En route we decided to stops for yummy fish and chips which we ate in the car! 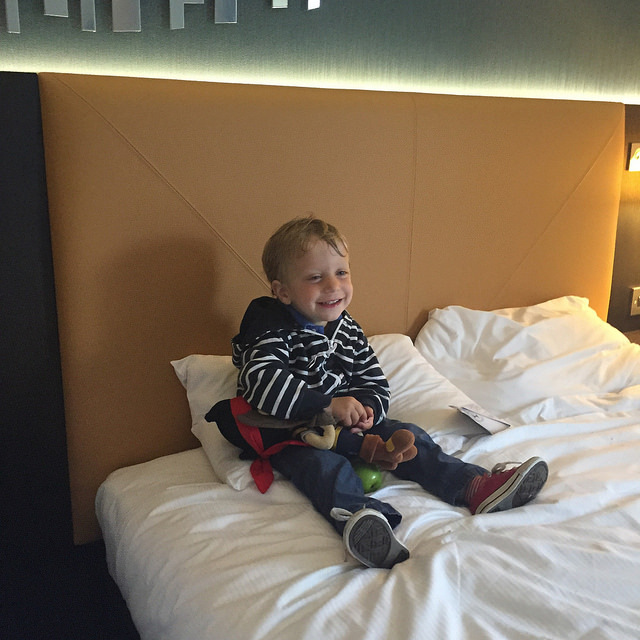 After scoffing our fish and chips we checked in at the Hilton Bracknell, which Simon and I had stayed at when we went to Ascot in May. The hotel is great value, has lovely modern rooms and a fab swimming pool. 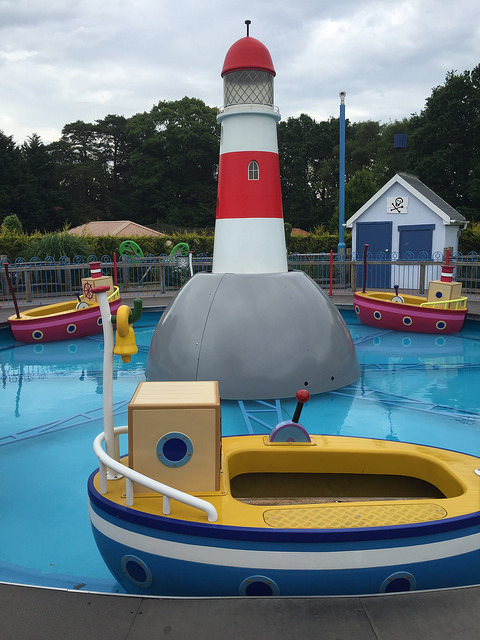 It’s really well geared up for families too as it’s so close to Legoland. Our room had two double beds and they’d put two travel cots in for us. 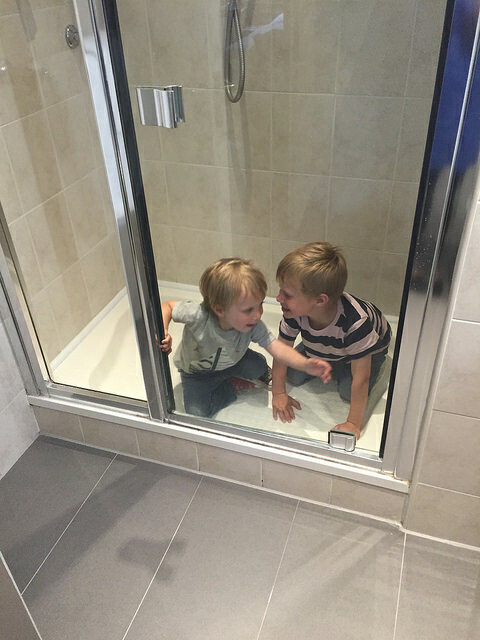 It also had a huge shower, which the boys thought was amazing! To try and be more successful at getting the twins to sleep, We decided that Simon and Oscar would walk over the road to the big Sainsbury’s to buy some treats and I would try and get the twins to sleep. Easier said then done! Henry was the troublesome one, turning the TV on and off, striping all the bedding out of his cot and generally refusing to sleep! Luckily Simon had got me a glass of wine from the bar before him and Oscar had left, so I sat in the bathroom (so glam!) in the hope the twins would finally get bored and nod off. 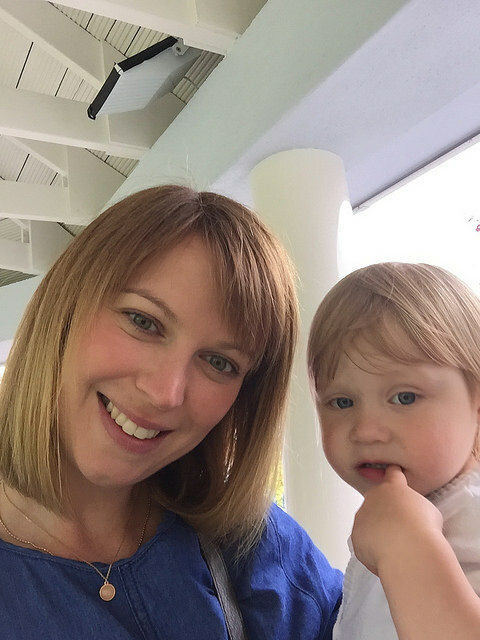 They did – an hour and a half later – monkeys! 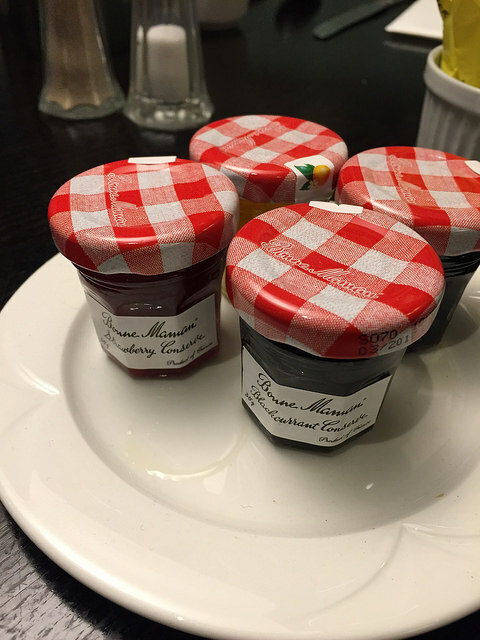 In the morning we had a lovely breakfast in the lovely modern restaurant, I love these mini little jams! 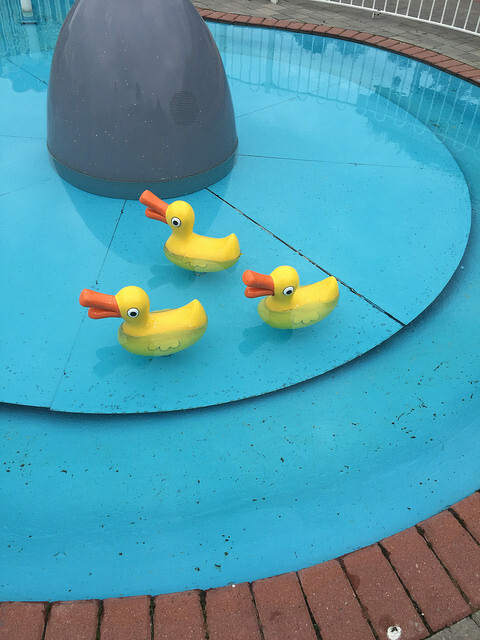 We then had a swim in the hotel pool before heading to Windsor for a browse. 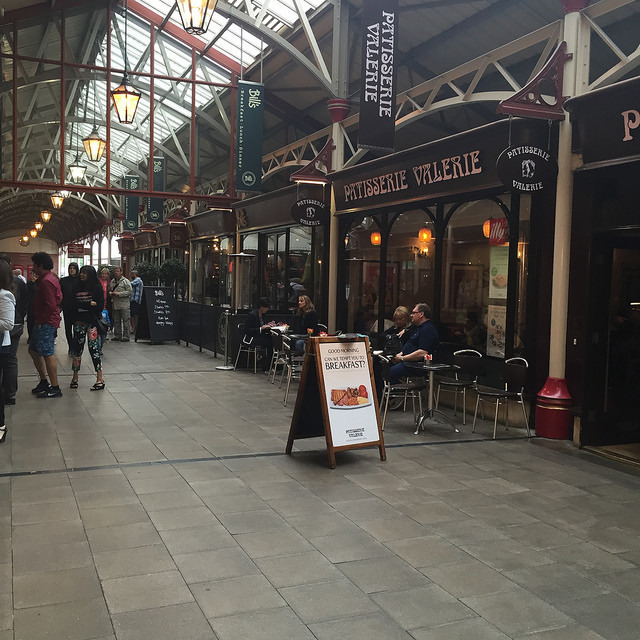 I really love the mix of shops. Unfortunately with three children in tow we didn’t get much opportunity to shop but it was still nice to have a mooch, before beginning the drive home. We had a really lovely weekend. 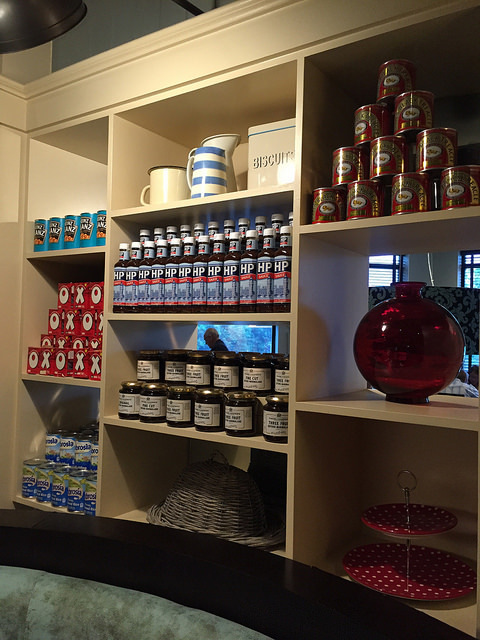 It’s been a while since we’ve had a mini break and we really must do it again soon!